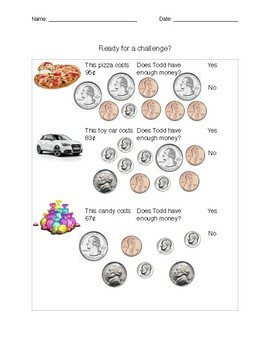 This activity is great for introducing your students to the concept of counting mixed coins! 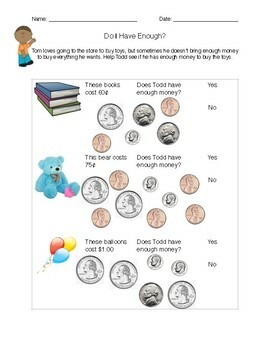 Students must count the coins to determine how much change they have available. Then, they have to compare that amount with the cost of the item to determine if they have enough.